Is nuclear power the answer to China’s clean energy quest? Efforts to speed carbon cuts pledged under the Paris climate deal will require a fast, mass mobilization of low carbon technology at costs that can be competitive with coal, a task to which nuclear power will likely be unsuited. So says a new version of the World Nuclear Energy Industry Status Report, which tracks developments in the sector and provides outlooks based on developments energy and climate policy. Time is the main enemy of the world nuclear industry, says Mycle Schneider, the author of the report, which had its abridged version published in Beijing this week. “Everyone needs to speed up energy transition, and cheap quick technology is going to be the first choice,” he said, pointing to figures in the report which indicate that 70 percent of the 60 or so reactors currently worldwide are delayed. Five of these have been listed as “under construction” for over 30 years. The 40 reactor units built between 2005 and July 2015 had an average construction time of 9.4 years, suggesting that a fast-roll of the technology in future decades is highly unlikely. In China, where 18 units are under construction, the average construction time is faster at 5.7 years. And as nuclear power has already suffered three major accidents (Three Mile Island in the United States, Chernobyl in the former Soviet Union, and Fukushima in Japan), higher safety demands raise standards for construction and operation, ensuring that the majority of postponements or cancellations of nuclear power plants were due to excessive costs, Schneider adds. Meanwhile, wind and solar power are being rolled out at a much faster pace. Between the signing of the Kyoto Protocol in 1997 and 2014, growth in solar and wind capacity outstripped that in nuclear power. Nuclear power peaked in terms of share of energy production in 1996, at 17.6 percent, before falling to 10.8 percent in 2014. Wang Yinan, a researcher at the State Council’s Development Research Center, is opposed to large-scale development of nuclear power, believing the risks involved are too great. The latest technology, known as Generation III+, is unproven in practice, with none of these new reactors yet in operation. To compound the problem, regulatory staff and engineers are not yet up to speed with the new technology, raising concerns about safety. As Schneider puts it, those capabilities take time to build up – it’s not just a matter of taking a training course in nuclear power. And in a country as densely populated as China, an accident could be catastrophic. A frenzy of construction in new coal-fired power stations and a rapid expansion of wind and solar power has given China an electricity surplus. But China remains bullish on nuclear energy, and has approved new reactors in all of the last six years, with the exception of 2011 when a moratorium was placed after the Fukushima disaster. National Development and Reform Commission plans would see China reach 58 gigawatts (GW) of installed nuclear power generating capacity by 2020. However as only 51 GW of capacity is already in operation or under construction, it is very unlikely this target will be reached, given the length of time it takes to build new nuclear plants. The future will depend on whether or not technology can keep up with the trends. 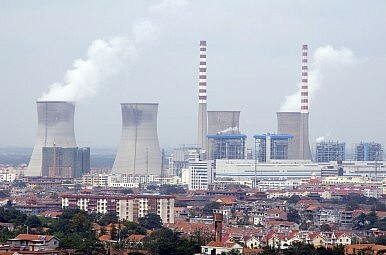 Yang Fuqiang, Senior Adviser on Climate, Energy and Environment for the Natural Resources Defense Council, says that it would be feasible for nuclear power to provide 10 to 12 percent of China’s energy, up from the current 3 percent.